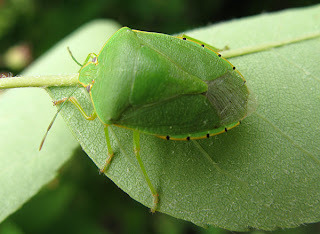 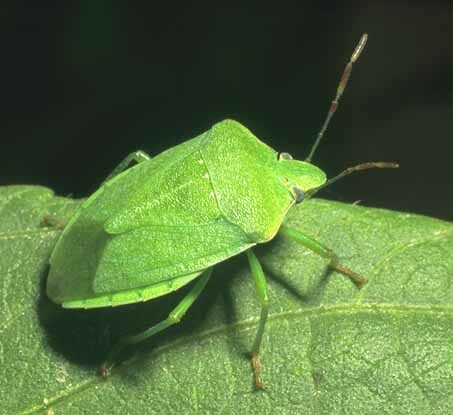 The green stink bug or green soldier bug (Acrosternum hilare) is a stink bug belonging to the family Pentatomidae. According to Dr. David Rider of North Dakota State University the generic name is wrong. 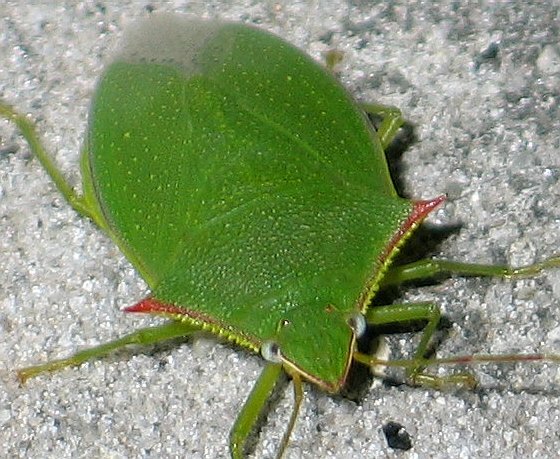 The genus name Acrosternum should be restricted to a handful of Old World, small, pale green species that live in dry arid areas. The larger, brighter green species that live in both the Old and New Worlds should actually go by the generic name Chinavia, therefore this species should be called Chinavia hilaris. 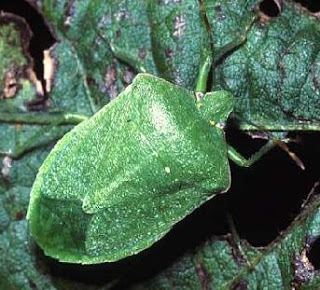 It is found in orchards, gardens, woodlands and crop fields throughout North America, feeding with their needle-like mouthparts on the juices of a wide variety of plants from May until the arrival of frost.